Veneers are a great solution for teeth that are healthy but not aesthetically pleasing. They cover up any imperfections from chips, gaps, stains and more. They only cover the forward-facing side of the tooth’s surface, unlike crowns. Their appearance resembles natural teeth and they will be customized to fit your smile. Veneers are a confidence booster but they do not impact the function of your teeth whatsoever. Dental implants are permanent teeth replacements. They can be used to replace one or several teeth or in extreme cases, the entire mouth. They are a solution to bone loss, receding gums and missing teeth. Implants are extremely important for people missing teeth. If missing teeth aren’t replaced, the jawbone actually recedes. If the roots of the teeth are no longer present to stimulate the jawbone, it will start to deteriorate. This will start to affect not only dental health but health in general. Eating and talking may become more difficult and the bone structure in the face will change. Veneers are made of porcelain or composite resin material. 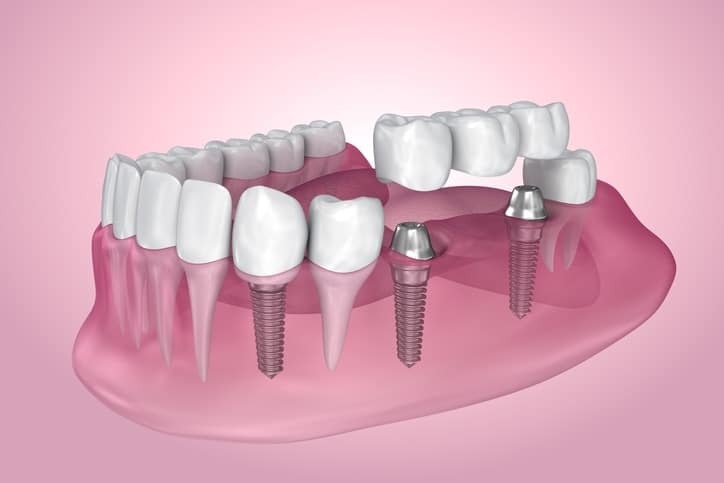 Dental implants, on the other hand, are made of titanium and dental crowns. Veneers often last anywhere from 10 to 15 years. After this time period, replacements may be advised. If for whatever reason, they don’t bond to the teeth properly they may shift which could cause them to recede from the gum line. This could potentially lead to issues such as tooth decay and gum disease. Veneers are removable and built to be replaced. Dental implants are meant to last for life. If someone has had them for 25 to 30 years they may need to be adjusted. Odds of this are slim. Over the years, they may need to get tightened or even replaced in case of an emergency but they are permanent. The problematic tooth is removed. The jawbone is prepared for surgery potentially involving bone grafting if the bone isn’t thick or strong enough. An incision is made into the gum to expose the bone then a hole is drilled into the bone. A dental implant metal post used to recreate a tooth root is placed inside this hole in the jawbone. A temporary denture may or may not be provided for appearance’s sake during this healing process. After several months of healing, osseointegration occurs in the jawbone which creates the base for the fake tooth. A second minor surgery occurs with local anesthesia where a dentist will reopen the gum to expose the metal post. The abutment will then be attached to this post and have the gum tissue closed around it. 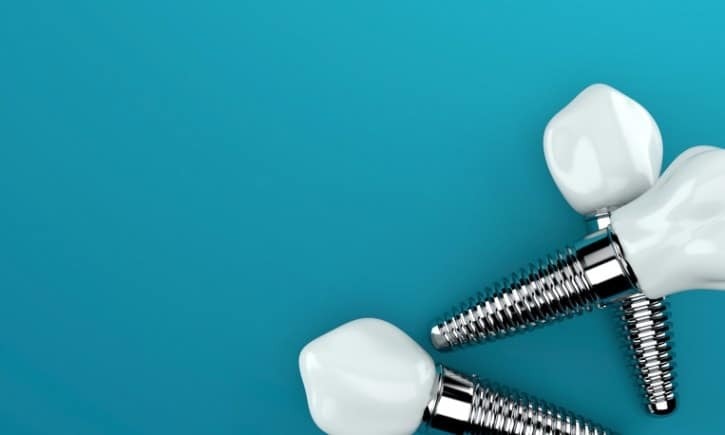 After a one to two week healing process, the artificial tooth is attached by being screwed into the abutment. Approximately ½ of a millimeter of enamel is removed from the surface of the teeth. 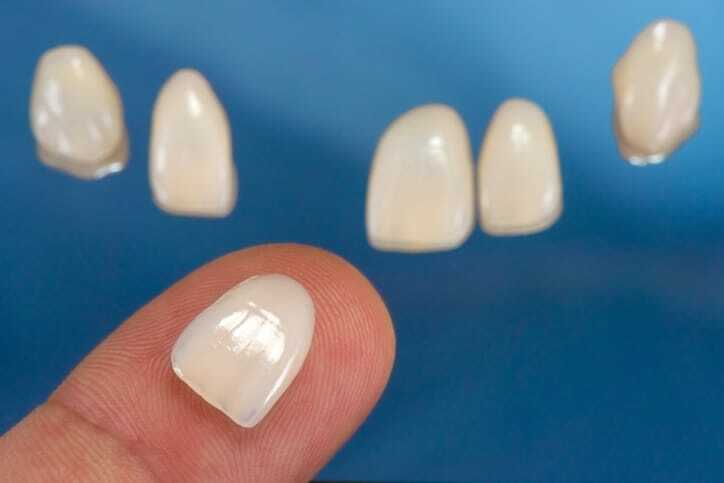 A model of the teeth without this enamel will be made and sent to a lab where the veneers will be constructed. Once the veneers are made they are sent back to dentist and placed to ensure they fit the natural teeth. If they’re not perfect, the dentist will trim the veneers to make them fit properly. Once they’re the proper fit and look, the teeth will be prepared by being cleaned, polished and etched. This facilitates the bonding process. 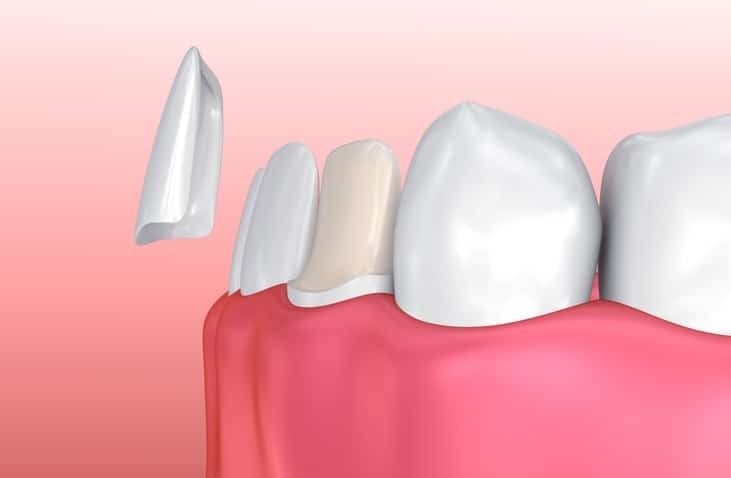 A cement is applied to the veneers which are then applied to the natural teeth. The chemicals in the cement are activated using a specialty light beam which causes it to harden quickly. Excessive cement is removed and bite demonstrations occur. Any required adjustments like trims or more cement are made to the veneers if necessary. Note that veneers may cause your mouth to have some sensitivity to hot and/or cold. Additionally, you may not be eligible to get veneers if your teeth are weak or you grind your teeth. For more information on dental implants or veneers, contact Dental Implants Clinic today. 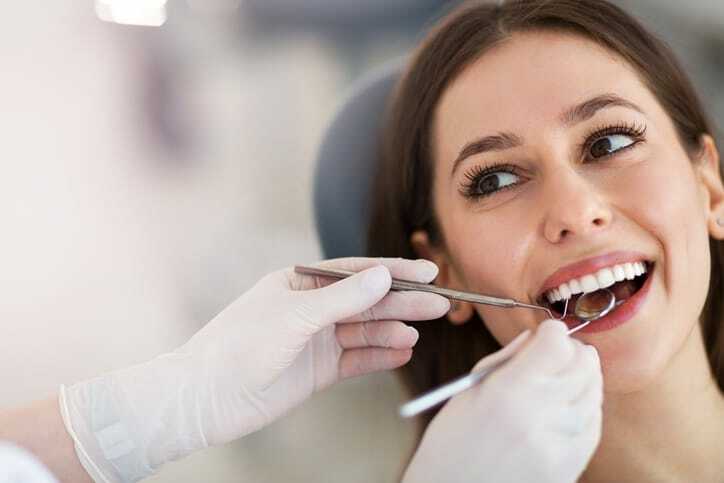 It is our mission to provide our customers with the highest quality and most cost-efficient dental services in the city.